Revolutionary disturbances, civil war, problems with provisions resulted in protracted production crisis. The labours lifted vessels on shore and protected them from plunder. The labours of the ship repair workshops only disassembled river vessels for spare parts and stocked firewood for heating and steam engine starting. The fact that pre-war cargo traffic level and the scope of ship repair works were restored only by 1930 shows the significant material loss caused by the First World War and the Revolution. 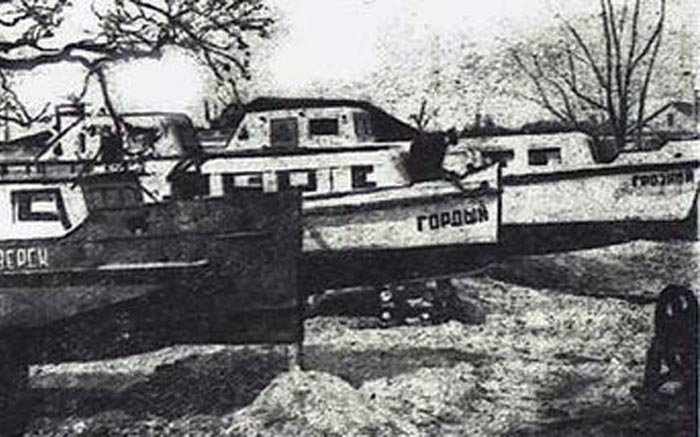 Schliesselburg carried out the pass to New Economic Policy: part of river vessels was returned to former owners, private shops and places of entertainment were opened. In 1922 75% of valuables were confiscated from town churches under the pretext of struggle against famine in Volga region. Schliesselburg became frontier as the border of USSR and Finland passed along the Ladoga Lake. Only the availability of the special permit from Internal Affair Agency gave the right for entry in Schliesselburg.